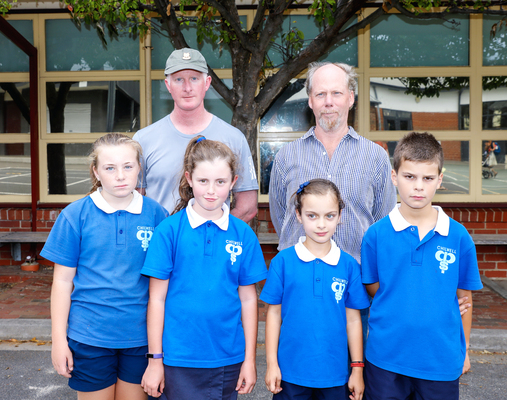 Bureaucrats have short-changed Chilwell Primary School “another $1 million” after rejecting a planned redevelopment amid a cost blowout, the school’s council has alleged. Victorian School Building Authority (VSBA) was set to approve a $1.4 million alternative to the initial plan for a $2.4 million two-storey redevelopment, said council president Phil Joyce. “The parents are gutted. They are furious,” Mr Joyce said. “How could it get to this point? State Government allocated $2.4 million in its 2017/2018 budget for the school before appointing a Melbourne company to design a new building. Initial planning material indicated a $2,409,967 cost for a two-storey rebuild, the Indy revealed last year. School principal Gavan Welsh and Mr Joyce signed a project report for a double-storey building in October 2017. But a series of cost increases led to VSBA instead offering a “complete refurbishment” of the aged existing wing. The school council obtained a quote from a prominent Geelong building company, which the Indy has seen, for a two-storey rebuild for less than $2.4 million. But VSBA then in a letter stated its intent to accept a tender from the same company for $1.4 million to complete the refurbishment. “We’re all absolutely mystified as to where the million dollars has gone,” Mr Joyce said. Mr Joyce believed that the authority had “padded out” costs to meet the $2.4 million budget. He showed the Indy design documentation indicating $527,000 in “special factors” to “be justified”. In emails to the school, VSBA indicated it would sign off on the revised plans this week and rejected pleas for a review period. The authority also stated that as the land-owner it did not require a sign-off from the school’s council to proceed. Mr Joyce said VSBA’s approach was “dictatorial at best” and it had treated students and teachers like “tenants”. Replacing the aging and “asbestos-riddled” wing was vital as Chilwell Primary School neared its maximum enrolment of 400 to 425, Mr Joyce said. The Department of Education has previously confirmed to the Indy that the VSBA “explored” a two-storey building option for the school. But an assessment of costs determined that VSBA was unable to deliver the project within the available budget, a department spokesperson told the Indy last October.